It’s always good to get perspective. 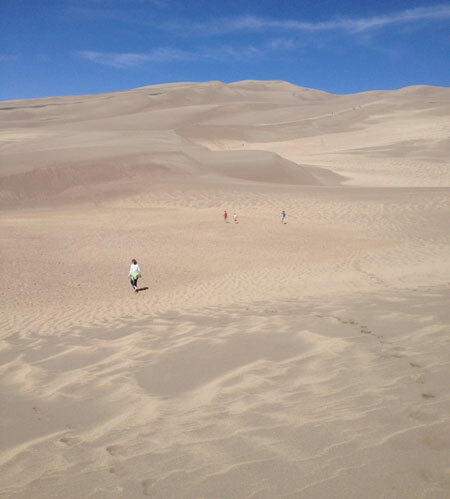 Last week, we went to Colorado’s Great Sand Dunes National Park. It’s a dramatic place – huge sand dunes are spread at the base of a larger chain of mountain peaks. Thankfully, the weather was perfect. The wind was not blowing very much. The temperature was cool – our bare feet did not burn. It’s always good to remember just how small we are in the scope of things.